Kate and I are in the dining area of our hotel where she is having some juice and yogurt. She has her iPad with her as do I. She is still waking up even though she has been up almost an hour and had her shower. That is quite a contrast with my own morning pattern. I wake up ready to go immediately. This sometimes (often?) leads me to spring into conversation more quickly than she would like. 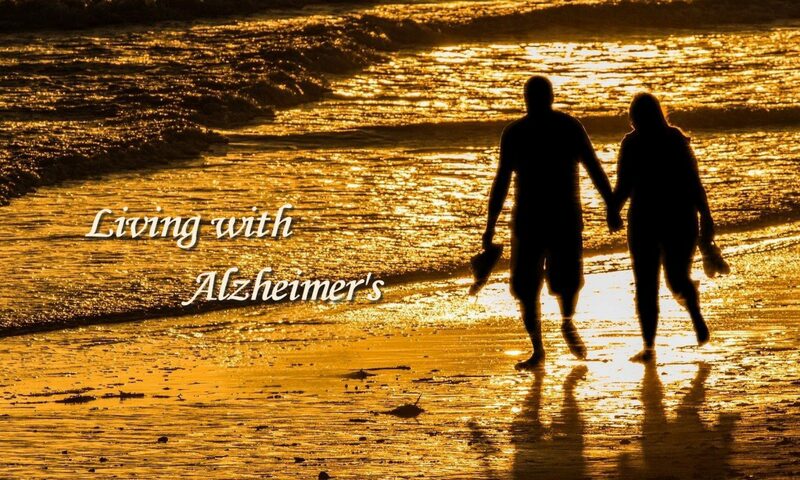 That is especially true with her Alzheimer’s. She is much slower getting ready for social interaction in the morning. So here’s what happened a few minutes ago. Last night I received an email from Ken in which he thanked Kevin and Rachel for hosting the Christmas dinner. He included several photos taken yesterday and attached them to his email. I hadn’t shown them to Kate last night because she had already gone to bed. While Kate was working a jigsaw puzzle on her iPad and eating her breakfast, I remembered the pictures and showed them to her. There were only four or five and had gotten through two or three when she said, “Do we have to do this now? Can’t we do it later?” I quickly realized I had misunderstood her priorities at that moment. She just wanted to relax quietly with her breakfast and iPad. I thought she would be eager to see the pictures. Once again, I was seeing things from my own perspective and not hers. She even said, “You always want to do things when you want to do them.” Herein lies one of the challenges for a caregiver of a person with dementia. You are always working to think of things to help but discovering that you aren’t always able to see things from the perspective of the one you want to help. I have often said that caregivers for people with dementia spend much of their time either trying to prevent problems or solve them. Like most caregivers, I like to think that I do a respectable job; however, I must admit that I often fail. I think I do so because my solutions always arise from my brain and not Kate’s. Let me illustrate what I mean with something that happened tonight. I’ve commented before that over the past few weeks, Kate has gone to her room to get a night gown and come back wearing a robe and no gown. At first, I didn’t say anything. Later I asked if she would like a gown. On occasion she has hesitated, but almost always she says yes. Then I ask if she would like me to get one for her. Most of the times she says yes. It seemed clear to me that she really wants a gown. I’ve been trying to figure out why she so frequently gets a robe instead of a gown. I’ve asked her, but she hasn’t been able to explain it. As I went through different possibilities, the first thing I thought was that it was difficult to pick out a gown because she has a number of each. They also get mixed up in her closet. This morning I decided to rearrange her robes and gowns. I grouped them so that she would see the gowns grouped together before she got to the robes which I put behind them. Shortly after we returned from Flat Rock tonight, she came into our bedroom wearing a robe. I could see that she didn’t have on a gown and asked if she wanted one. She did. I asked if she wanted me to get one. Again, she did. Now I’ve decided that the problem is that there are so many clothes hanging in her closet that it is simply too confusing for her. I say that because there have been occasions when she has asked me to get either a top or pants for her after she had looked and not found anything. Of course, all the literature on dementia points out the difficulty people with dementia have when presented with many different options. I need to get rid of some of the clothes she will no longer wear and reduce the number of options in main closet. It can be challenging when the person you want to help is unable to explain what she needs. And it’s impossible to be accurate when you can’t figure out what’s going on in her brain. I can’t imagine what she must be feeling when things like this happen. As one who has a few OCD tendencies, I like to think my life is reasonably well-organized. Kate’s Alzheimer’s has tested that, and I regularly come up short. Take this morning, for example. Kate was up when I returned from my walk; so instead of going to my computer and checking email, I thought I had better change clothes to be ready when she wanted to go to Panera. I also got her morning medicine ready for her, closed down my computer and put it in its case. Then she came out before I had gotten everything ready. When she is ready to go, she doesn’t like to wait on me. I noticed that she was wearing brown shoes with her black slacks. I asked if she had wanted to wear brown with what she was wearing. She said, “No.” I went back to find a pair of black shoes. I looked everywhere without success. Then I decided to look under the furniture in our bedroom. I knew she had been wearing black shoes there last night. I found one shoe under her chair along with some socks and tissues. It is a cold morning; so I then went to get coats for each of us. In the meantime, she had gone outside to pull leaves while waiting for me. As I walked by one of our bedrooms, I noticed that she had a couple of her outfits laid out on the bed. I’m not sure why, but I pulled back the top to one outfit and found one pair of black shoes and the mate to the other black shoe I had found under her chair. I put one pair of shoes in her closet and took the other to give to Kate. As often happens, I couldn’t’ find Kate’s iPad. She uses it to work jigsaw puzzles at Panera. I used the Locate My iPhone app to find it. Then I rushed back to the kitchen with her shoes in one hand, put on my coat, picked up hers, and got my laptop case with my computer and our iPads, and went outside. She put her coat on right away. We got in the car where she put on her shoes. We arrived at Panera, and I discovered I had left our cups at home. That’s a minor thing, of course, but that is one of the things I always do. We save 80 cents on each drink when we bring our own cups. After we were seated a few minutes, I remembered that we have a luncheon at church tomorrow, and I had not put that on the calendar in my phone. When I reached in my pocket for the phone, I discovered that I had left it charging at home. Each one of these things is of little importance, but the whole episode is a good illustration of how I frequently slip on a variety of things that I might not have done otherwise. If I can just limit this to the unimportant things, I should be fine. For a long time Kate has teased me about trying to control her. It has always been tinged with a note of seriousness. Yesterday she expressed clear irritation with me. It happened as we were returning to our apartment here at Chautauqua from the afternoon lecture. She began as though we had already been having a conversation. That has happened before. She believes we have talked about something but haven’t. Her first references to a move to Texas. This time she started very diplomatically. She said she wanted to tell me something, but she didn’t want to make me mad. I told her I wouldn’t get mad. She then said that I don’t consider how she feels about things, that I simply go ahead and make decisions for her. She illustrated that by noting that when she says, “I am hungry” I will say, “How can you be hungry. You just ate a while ago?” What surprised me most is that is a good recollection of a number of experiences we have had. In fact, it happened yesterday before we attended the afternoon lecture. At that time, it had been slightly over an hour since we had eaten lunch. From this she continued to tell me other ways in which I tried to control her. At least one of those was something I had never done. I can’t recall what that was, but her mention of it reinforced my thinking that she had imagined some events or things. At the same time, she was also responding to something that is genuine. I do find myself taking charge of more things. I try, however, to let her be as independent as I can. One of my challenges is that there are some things that she is happy for me to do. In addition, there are some occasions when she is happy for me to do something that on other occasions she would resent. I will need to be even more sensitive about these things in the future, but I am sure I will stumble along the way. I am taking this experience as one more indicator of the transition we are going through. I am also asking myself. How much is my desire to take trips like this one to Chautauqua rooted in my own personal desires versus what I believe she would like. I think it is a combination of both. This is a post I would rather not write. I am driven to do so by the possibility someone out there might have the mistaken idea that I am caring for Kate perfectly. I left Kate at the apartment this afternoon for about an hour and a half. When I returned, she was gone. I wouldn’t have done this at all if I hadn’t gotten her out of bed this morning at 10:30 to get to the morning lecture at 10:45. That was followed by lunch, a quick stop by the apartment to brush teeth, and on to a 2:00 lecture with Bill Moyers. Before coming this year, there were two speakers I definitely wanted to hear. One is Alan Cooperman who heads the division of research on religion at Pew Research. I have read so many of his study findings and wanted to hear his presentation. Knowing that Kate would want to have a break, I brought her back to the apartment. She said she was going to rest a while. I told her I didn’t want her to go anywhere. She said, “Oh, I wouldn’t go anywhere.” Of course, I knew she couldn’t remember. When I returned and found her gone, I was panicked. It was daylight, and it is a safe place. On the other hand, it was beginning to rain. I knew she hadn’t taken an umbrella or rain jacket. The first thing I did was to walk across the street to the Brick Walk Cafe to see if she might be there. Then I walked around the Plaza and went into the book store. I came back to the apartment and checked again. I saw the neighbor in the apartment next to us and told her to be on the look out. I left to retrace my steps and still did not find her. I decided to contact security. I did so by going to the visitors’ center. They called security for me. I gave them a description of her. Then I went to the market here on the plaza and bought some gauze and hydrogen peroxide to clean up several cuts to my arm. I had taken a fall on the way back from the 3:30 lecture. There I told the people about Kate. I also told a driver of one of the small buses that circulate the area to be on alert for her. I told people at a dress shop in St. Elmo about her as well. On the way back to the apartment I saw a young man, Kyle, who was driving a golf cart and stopped him. It turned out he was with security and was out looking for her. As I was talking to him, I got a call from a man who said she was with him on Robert Street. I thought he was with security, but it turned out that he was with the Ecumenical House that is around the corner from our apartment. She apparently wandered over there. I will have to find out how he got my phone number and to thank him. Just before 8:00 I started to call her inside. She had been a bit bored today; so I decided to let her remain outside longer than usual. Just before 8:30, I went out to call her in. She was standing on the walkway in front of our house. At first she seemed a little irritated with me. I said, “Did you want me to call you in earlier?” She said yes and came inside. Then she broke into tears. She said she had tried to get inside but everything was closed and locked. Then I realized that she had not remembered that she had come out the front door which had remained opened the whole time she was outside. She said she didn’t know where I was. She said she thought I was trying to teach her a lesson. She just got out of the shower and seemed to be all right. I told her I felt bad for not calling her in sooner. Then she started crying again. She has her nightgown on and is sitting on the bed in tears. I should add that I have tried to console her, but she keeps saying, “That’s all right. I’ll be fine.” She has also said, “It’s not your fault.” She is still crying. Shortly after my previous post last night, I got into bed with Kate and held her. She was still whimpering, but shortly she settled down. This morning I wanted to ask if she remembered the events of last night but felt it was wiser not to remind her. All is well now. I, too, am feeling better. About 15 minutes before we were to leave for Kate’s PEO meeting, I went back to her office/dressing room. I found that she had already dressed and was wearing a top that I didn’t think was suitable for her meeting. I told her I had several others she might choose from that would be better. I brought them to her, and she picked one out. I left her to change tops while I put the other two back in my closet. A few minutes later Kate came out with a totally different top that I thought was not as suitable as the one she had previously picked out. I said, “You didn’t wear the top you picked out.” She was horribly frustrated and asked, “Where is it?” She became emotional and started crying. I went to her room and picked up the top she had originally chosen and brought it to her. She continued to be upset as we drove away. I decided that I should put on some relaxing music to calm her as we drove. When I turned on the audio system, it was set on high volume and I was unable to turn it down quickly enough. She is very sensitive about sudden noises, especially loud one. I apologized. She said, “You always do that.” So this was a case of my adding insult to injury. I didn’t handle this well though my intentions were good. This morning I washed my clothes and took them out of the dryer about 10 minutes before I had to leave for Sunday school. I folded and put away my underwear and socks but left the rest (not very much) on our bed. I almost always wash my things separate from Kate’s because so often she has gotten my clothes and worn them. This is an easy way to retrieve them. That has been a special problem with my socks and t-shirts. She wears the t-shirts when she is working in the yard, and they get so dirty that they don’t come clean during washing. Being something of a “Neatnik,” I don’t like to wear them to the Y. Before I started doing my own washing, I had to buy extra t-shirts, but that didn’t help. Invariably she would get them. I now have only a few shirts that I can wear to the Y. When I got back from church, I noticed that she had folded several pair of socks and underwear that I had missed before leaving. This afternoon as I was watching football, she worked in the yard. Kevin called, and I went out to the yard to get Kate. I noticed that she was wearing one of the two of the t-shirts that had been in the wash. When I got off the phone with Kevin, I looked in my closet where I keep them and found that she had not put the other nicer t-shirt in there. About 15 minutes ago, I went out to check on her. I mentioned that I had noticed that she was wearing my shirt. She immediately reacted with sorrow. I told her it was all right. I just wanted to make sure that I got the other shirt. She was so hurt that I didn’t follow up on it. This is the kind of thing I try to prevent from happening. I don’t want to hurt her. On the other hand, I do want my shirt. I think I will try buying new shirts and just work hard to wash them and put them up before she can see them. About an hour later, I was getting my clothes ready for tomorrow and noticed that I needed to get that t-shirt back from Kate. Then I went to get out my socks and noticed that the three pair of socks that had been in the wash were nowhere to be found. I went to Kate to ask. Once again she had a mild emotional reaction as though she were going into a panic attack. She had no idea where they were and didn’t recall having seen them. I looked on her bed in her office and found them. I found the t-shirt on the bed in the large guest room. I will continue to try not to put her in this position, but I fear these things will only increase. I have the responsibility of putting Kate’s medications in her pill box every week. I also assume responsibility for checking behind her to see that she actually takes them. Yesterday I slipped, and she missed both her morning and evening medications. This is not critical except for Venlafaxine which she takes every morning. In the past I have found that if 48 hours pass since her last dose of Venlafaxine, she suffers from an unsettled stomach. When I discovered that she had not had her Venlafaxine yesterday, I knew that she needed it right away and that if she didn’t get it by noon she might have the effects of an unsettled stomach. It turns out that this started shortly after I gave her the morning medications including Venlafaxine. I went to the Y and also to have coffee with a friend. When I got home to take her to the bank where she was to sign some papers, I discovered that the stomach problems had occurred even though she had had her Venlafaxine. We went ahead to the bank, but she did not feel well and didn’t want to stop for lunch. We headed home. Once home, she still did not feel like eating; so I went to get a bite. When I returned home, she was feeling all right. I asked her if she wanted me to take her to get something to eat. She said that she didn’t, that she would just get something here. She is now up and dressed. She walked into the kitchen where I am typing this post and said she was ready to get something to eat. That means we are off. We’ll probably return home, before leaving for her eye doctor’s appointment at 3:00 p.m.
During the time we were in Chautauqua, Kate lost a sweater left under her seat at the opera and her purse that I left beside her seat at Scott Roselle’s radio talk show that we attended each morning. We recovered both of these. They had been delivered to the Lost and Found office. On the trip home, Kate left her iPad either on the plane or the ladies room. We went back to both places and did not find it. On Monday I went out to buy another one. It was delivered to our house yesterday while we were in Nashville visiting with our friends, Angie and Tom Robinson. While I can blame Kate’s Alzheimer’s for the major part of these losses, I feel responsibility as well. After all, I should be the one to make sure that we have all of her belongings. I am not good at remembering to get her things. I will continue to work on it, but I find, especially while traveling, I often have my own things to look out for, and it is easy not to take specific note of her things as well. I am far from perfect. I am also thinking of the fact that I have lost her a number of times. That, too, is partially (perhaps largely) my fault. If I never let her out of my sight, this would not have happened.